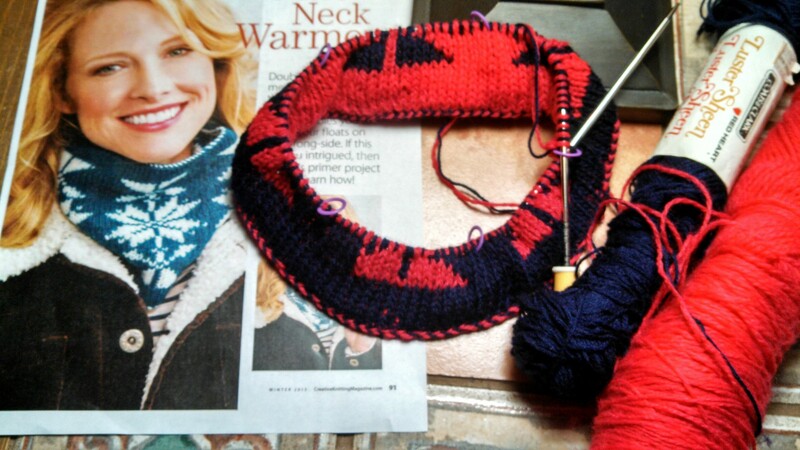 Another Shawl-in-a-Ball project – this time, I’m moving away from the brioche style knitting and taking another run at double-knitting. I’ve only knit a few double-knit projects, so am not very experienced (and that’s why it’s classified as “new techniques”). This scarf looks like a fun way to use the Restful Rainbow color. The long color repeats will set off the pattern nicely. 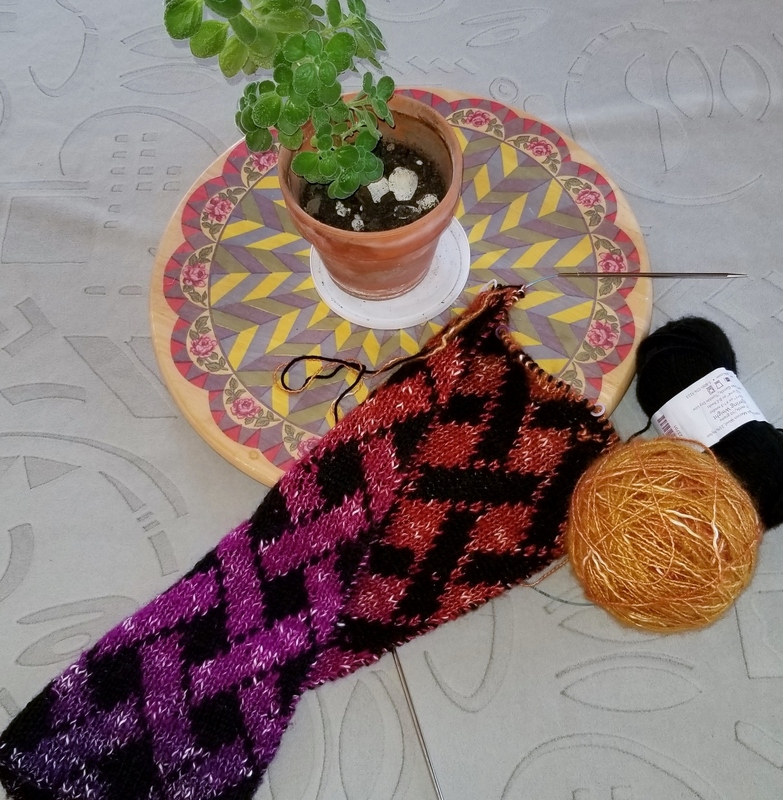 The project is Vernetzt, or “Networked,” available as a free download on Musterbunker (Pattern Bunker), a German knitting blog. 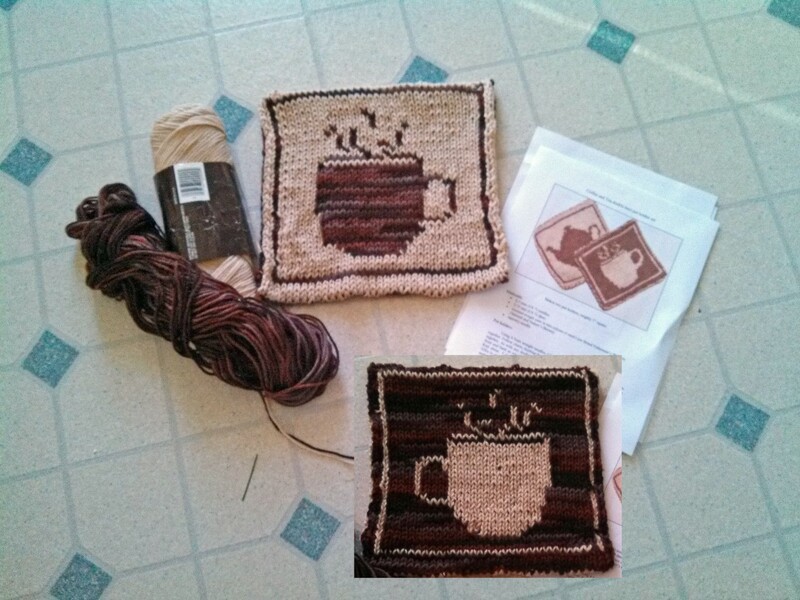 The author has several very nicely-rendered double-knitting projects. Patterns in both German and English. 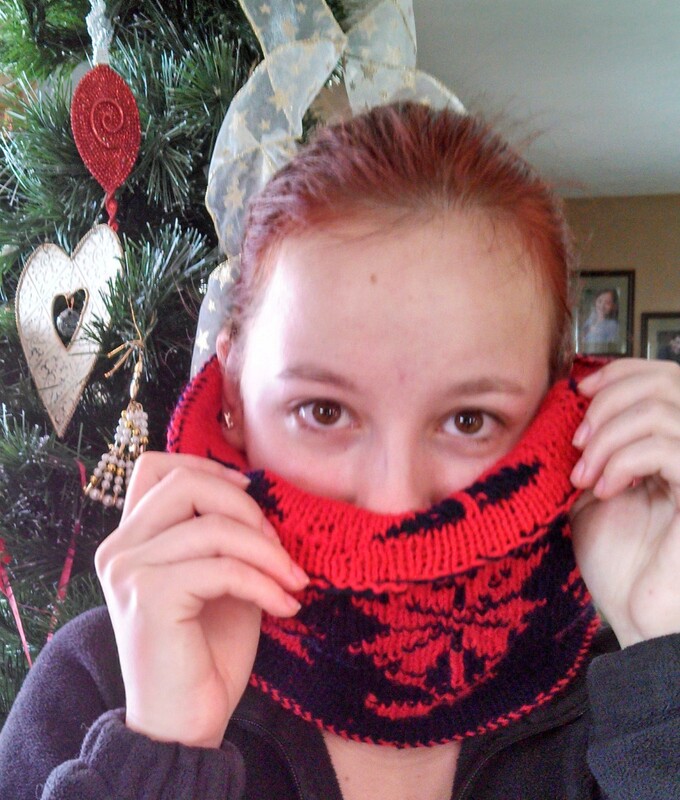 Modifications – rather than 4 repeats of the base pattern, I used 3 – the scarf as modeled is wider than I prefer. 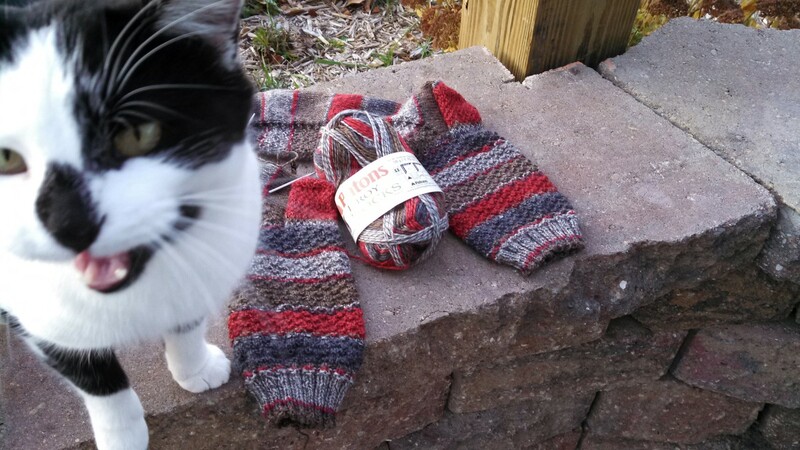 I used my go-to black yarn Knit Picks Stroll Sock Yarn for the black contrast. 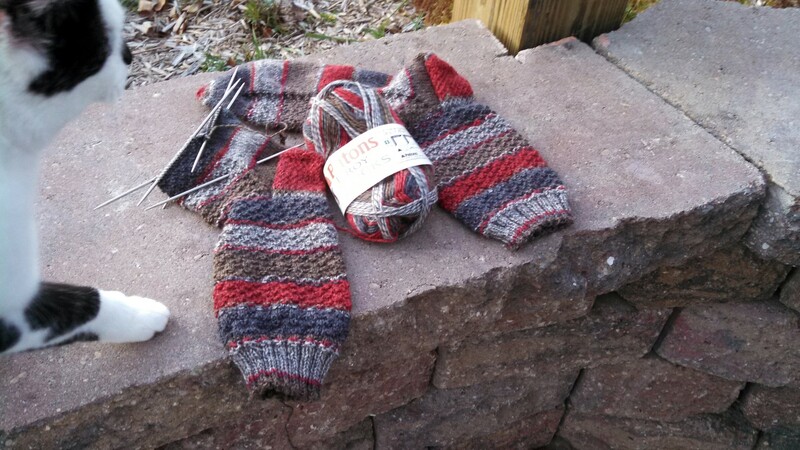 As usual for new styles of projects, I knit-and-ripped and knit-and-ripped until I was satisfied with the direction the project was going. The machine-wound yarn ball and band did not survive that treatment, so I re-rolled the yarn into a ball. 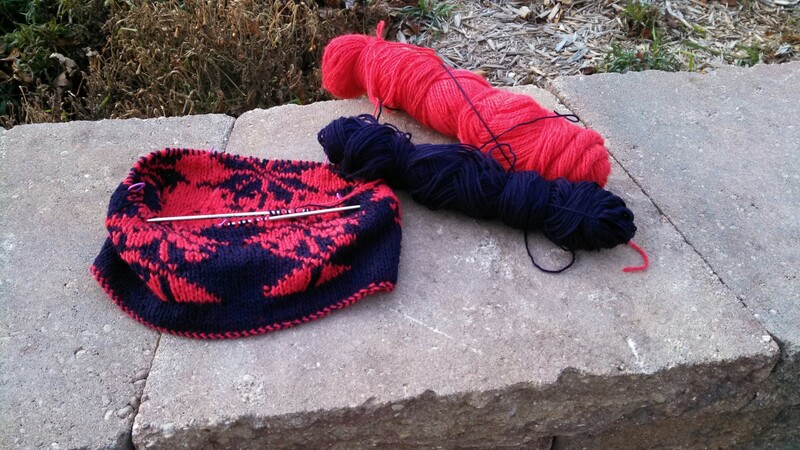 You can’t see the colors except for the color you are knitting. Fun for those who like surprises.